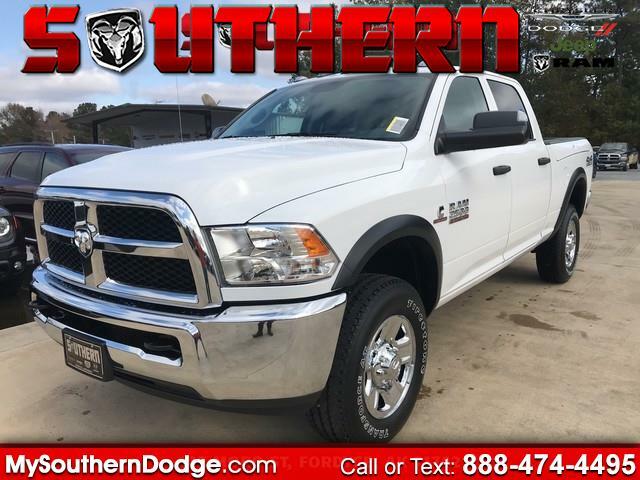 This 2018 Ram 2500 Tradesman 4x4 Crew Cab 6'4 Box is proudly offered by Southern Chrysler Dodge Jeep Ram Handle any terrain with ease thanks to this grippy 4WD. Whether you're on a slick pavement or exploring the back country, you'll be able to do it with confidence. The Ram 2500 Tradesman 4x4 Crew Cab 6'4 Box will provide you with everything you have always wanted in a car -- Quality, Reliability, and Character. You can finally stop searching... You've found the one you've been looking for. This is about the time when you're saying it is too good to be true, and let us be the one's to tell you, it is absolutely true.